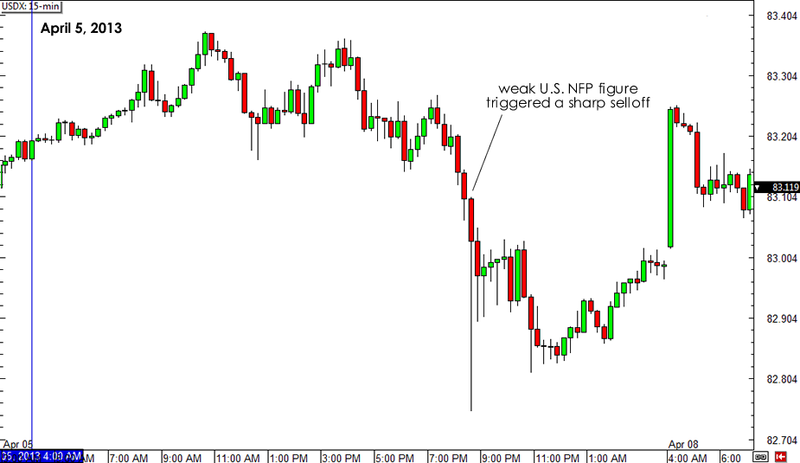 Grim NFP Pointing to a Weaker Dollar? I hate to say this, but… I told you so! As I’ve mentioned in my non-farm payrolls preview, there was a significant chance that the report would fail to meet expectations. Well, it did happen, and the market ended up greatly disappointed. Prior the release, the ADP’s version of the non-farm employment change missed forecast by a huge margin. It showed that only 158,000 net jobs were created, and not 203,000 like initially expected. The U.S. non-farm payrolls also sang the same disappointing tune as a result. It reported that only 88,000 jobs were added in March, much lower than the 198,000 forecast. It also revealed that the unemployment rate fell to 7.6% from 7.7% due to the massive decline in participation rate. The participation rate refers to the percentage of people motivated enough to look for jobs. To add insult to injury, average hourly earnings also took a hit and didn’t grow at all. As you can see from the chart above, the U.S. dollar took a hit across the board right after the NFP report was printed. In fact, the USDX plunged to its lowest level in almost two weeks as it dipped to a low of 82.75 before making a slight recovery. This kind of price action reveals that the U.S. dollar is still reacting to fundamentals rather than risk sentiment. This behavior can be attributed to the Fed’s monetary policy rhetoric, as the central bank is watching the jobs market closely to determine whether a withdrawal of stimulus is necessary or not. With the March NFP report painting a grim picture of the labor market, the Fed will have to keep easing in place and wait for signs of improvement in hiring and earnings. For now, the bleak jobs market situation should keep dollar hawks at bay, at least until U.S. economic figures start showing consistent progress. Does this mean that the Greenback could be in for more losses in the coming days? Let us know what you think by voting through the poll below! Do you think the poor NFP figure will lead to more losses for the Greenback?